NOT FOR PROFIT Irish Football Museum. Founded in Dublin in 2002. This virtual museum is curated and funded solely by one very ordinary Irish football fan for all Irish fans to enjoy. My heart and soul has gone into this project. 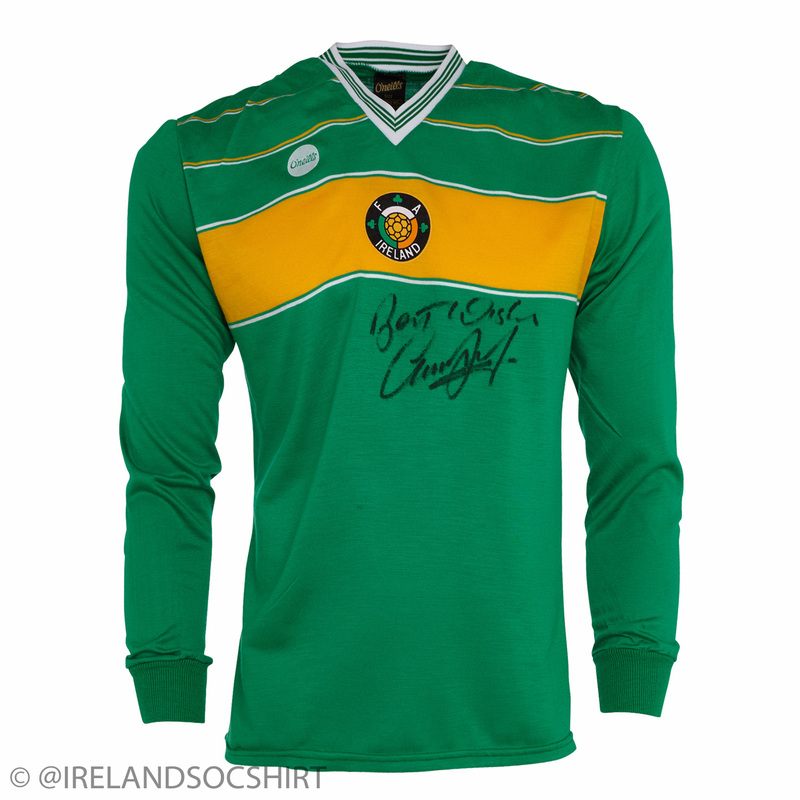 Dreaming of preserving one example of every unique Irish shirt style worn by our Senior International team since 1921. Committed to securing and displaying the proud history of our Irish Senior International soccer team so that we can cherish our proud past and inspire our future generations of Ireland players and supporters.